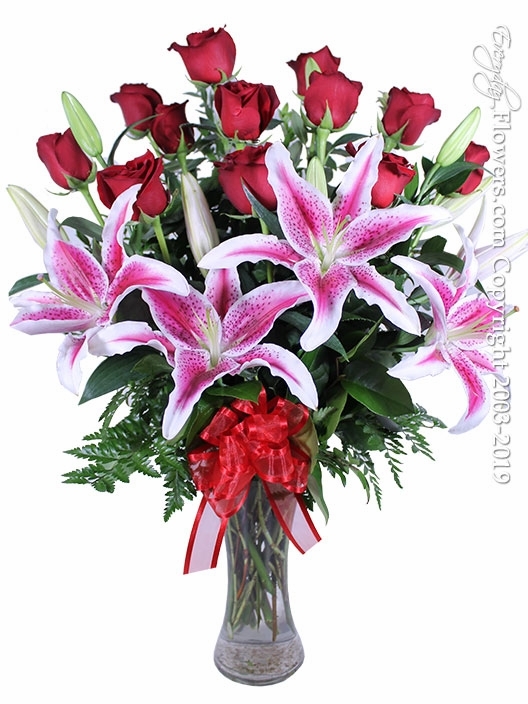 Order a dozen red roses upgraded with stargazer lilies. This arrangement features 12 of our long stem red roses with 4 stems of stargazer lilies enhancing the power of your valentines day gift. Designed in a hour glass shaped glass vase with fresh assorted greens and a red ribbon.